Knowledge is power! 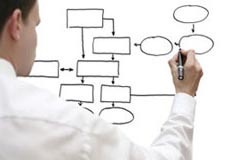 Our expert opinion and research services are the outgrowth of many years of field experience. We are our clients’ eyes and ears in the marketplace. 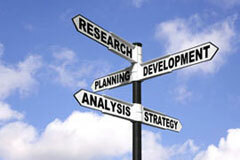 In essence, we serve as a market research, foresight, and development arm for our clients. Our expertise includes the A to Z in market research including questionnaire development, data gathering (phone, filed, focus group), data analysis, reporting to reflect business concepts and direction. We are a group of innovators with excellent understanding of technologies and the ways in which ICT can support an organization. We design solutions to optimize the operations of any organization and provide e-services solutions to a variety of sectors. Ongoing professional development and lifelong learning are the core of the modern, flexible organization. We have strong expertise in conducting needs assessment, task analysis, and design solutions for a variety of contexts that ensures the continual human resources and business development for our clients. eLearning course development is at the core of our expertise. We have a roster of technologists, content developers, and instructional designers with years of experience in the development of online courses. Our team can work with our clients to help them understand their education and training needs and design and deliver the right online program. We also work with clients that require Apps and solutions for android, IOS, and MS Windows mobile. 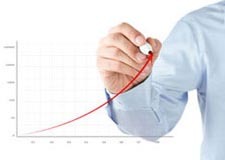 InnovADE measures the value of its organization by the number of companies and organizations to whom we successfully deliver solutions, and by the ongoing value we create for these companies and organizations. Our business development solutions allow our clients to maintain and improve their positive attributes and to chive organic growth and operations. We assist clients in the development and execution of projects in the most efficient and effective manner possible, within budget and using allocated resources. We have managed large scale projects worldwide with varied budgets. We have the knowledge, experience, and technical background to ensure the successful implementation of complex projects. Typical consultancies will argue that business is science by 80% - what makes innovADE different is that we understand the science behind the concepts, and we can build and read the evidence, which enables us to bolster your strategic development with 80% art of business. We can lift you head and shoulders above your competition. 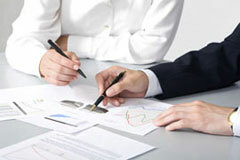 Our expertise is the provision of business consulting in specific verticals. We believe real consultation is the foundation of many successful operational and strategic solutions, and we build our programs with an ongoing evaluation and adjustment process, to provide our clients with real time x-rays of their organization throughout the life of the partnership. We use these x-rays to develop and implement long lasting effective solutions.